Map created in Guide 7.0 with the figure outline based on Johannes Hevelius' Uranographia (1690). 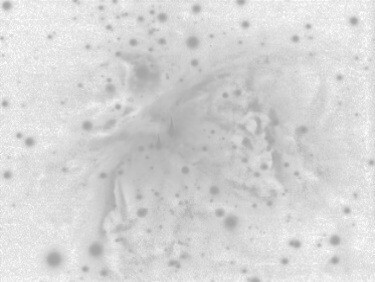 Click on the object's name to access its image or click on the name of adjacent constellation to see its map. Ophiuchus, the Serpent Bearer, depicts Asclepius, Greek hero (one of the Argonauts) and the founder of medicine. He holds the Serpent (Serpens) - still symbolizing that profession. 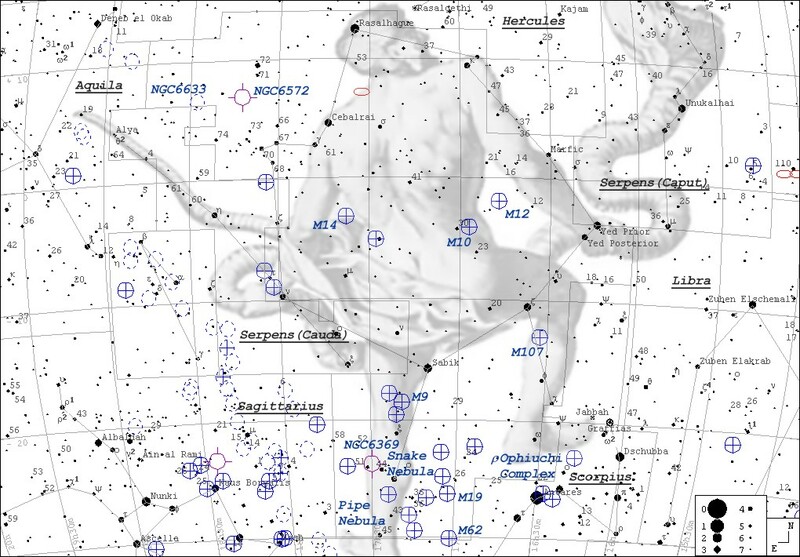 Ophiuchus is crowdewd with globular clusters. It also contains numerous dark nebulae of which Snake Nebula probably presents the most striking sight.